On Dec. 14, 2016, GoTriangle’s Board of Trustees authorized GoTriangle staff to proceed with the incorporation process. On March 22, 2017, the Board of Trustees approved the name “GoTransit Partners” for the new nonprofit entity. GoTriangle filed Articles of Incorporation with the NC Department of the Secretary of State officially forming a new legal entity known as GoTransit Partners. On Aug. 23, 2017, the GoTriangle board approved a set of bylaws and also approved the initial board of five directors to lead the organization. On Sept. 19, 2017, the newly elected Board of Directors met to elect officers and approve bylaws and other operational documents to complete the process of filing for nonprofit status with the IRS in the fall of 2017. GoTriangle is in the process of hiring an experienced nonprofit management firm to develop and implement a capital campaign strategy and expects to enter into a contract with the selected firm in October 2017. The mission of GoTransit Partners is to further the authorized purposes of GoTriangle, including to finance, provide, operate and maintain a safe, clean, reliable, adequate, convenient, energy-efficient and economically and environmentally sound public transportation system for the service area of the authority. Several roles for the nonprofit are envisioned. GoTransit Partners will be eligible to seek foundation grants and private donations not typically available to public agencies. The nonprofit will identify grant-making organizations whose missions resonate with its values - namely, improving the public’s access to the economic, educational, cultural, social and medical opportunities in our region. Mr. Goodmon leads one of the country’s most dynamic urban mixed-use developments, the American Tobacco Campus in Durham. As vice president of Real Estate for Capitol Broadcasting Company, the campus’ owner and master developer, Mr. Goodmon manages the day-to-day activities of approximately a million square feet of class A office, restaurant and retail space. Mr. Perry has spent over 40 years envisioning and developing quality mixed-use communities throughout North Carolina and Virginia. Providing expertise in master planning, negotiations and relationships, he is an active and integral part of each East West Partners project. He has served on many community boards, including acting as chair of both the Triangle United Way and the Triangle Regional Council. Mr. Bell is the former mayor of Durham and has a long history of public service. He is currently executive vice president and chief operating officer of UDI Community Development Corp., a nonprofit organization. Mr. Bell also has served on the GoTriangle Board of Trustees since 1989. 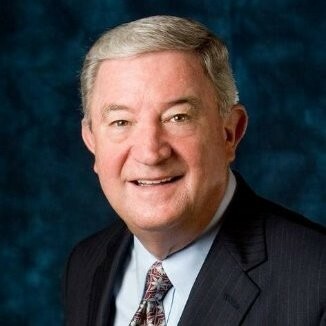 Mr. Day served as an executive vice president of Florida Power Corporation, a subsidiary of Progress Energy Inc., and served as chief executive officer and president of Progress Energy Carolinas, a subsidiary of Progress Energy Inc. from Jan. 1, 2005 to July 2007. Mr. Day served on the GoTriangle Board of Trustees from 2010 to 2017. Dr. Trask is executive vice president for Duke University, serving since 1995 as Duke University’s principal administrative and fiscal officer. He is responsible for the budget, financial affairs, procurement, debt, campus planning, architecture, maintenance and construction, real estate, human resources, academic and administrative computing, audit, safety and security, and auxiliary services (including stores, parking and transportation). Mr. Merklein is associate vice chancellor for University Real Estate Operations at the University of North Carolina at Chapel Hill. 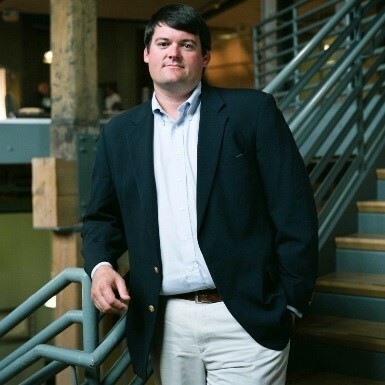 He joined the university in 2009 with more than 20 years of experience in all facets of commercial real estate. He oversees real estate management, investment and development activities for direct real estate holdings by various entities of the university, including The Carolina Inn and Granville Towers and the redevelopment of University Square, a 500,000-square-foot, mixed-use development project adjacent to campus. In addition, he manages the university’s 400,000-square-feet of off-campus office leases through the UNC Property Office. 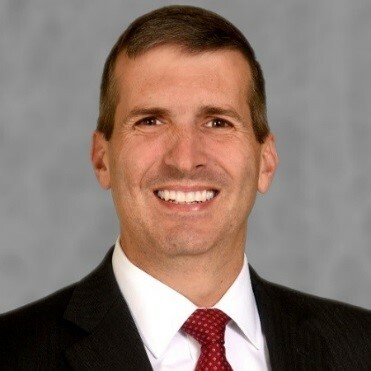 Mr. Bandini is associate vice chancellor for Real Estate and Development for North Carolina State University, where he oversees the use, management, leasing and development of the university’s real estate portfolio, including Centennial Campus. He practiced law in Raleigh for 18 years prior to joining NC State, focusing on commercial and residential real estate development, public/private partnerships, infrastructure development and land use and zoning.